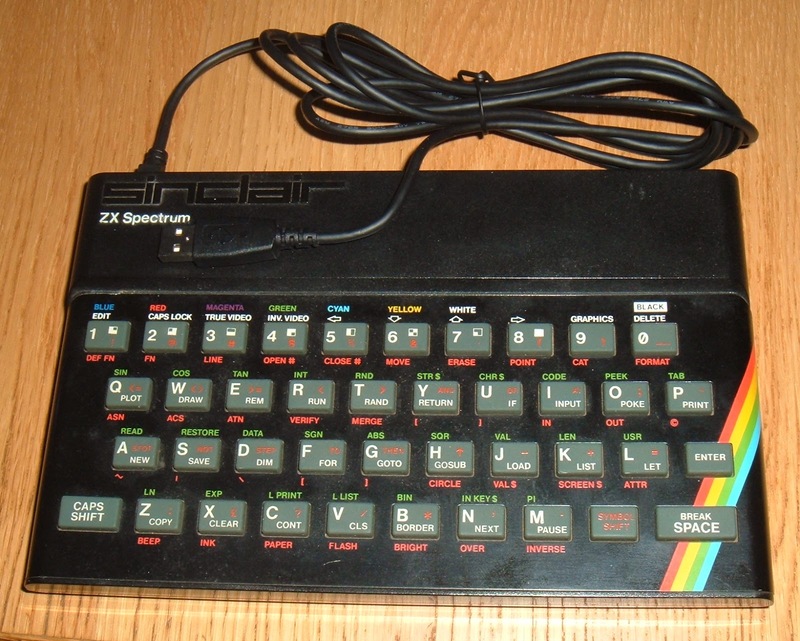 Since I started building these USB keyboard, the one which has always been a pain is the ZX Spectrum. 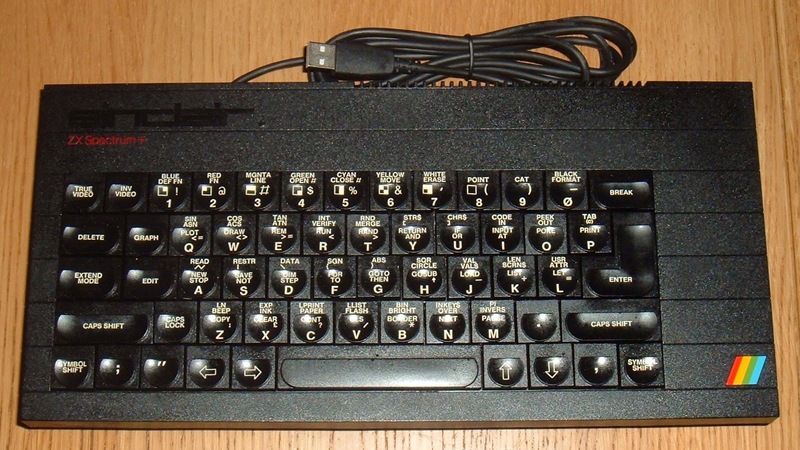 The two membrane tails are at either end of the keyboard, and don't reach my ZX USB Keyboard PCB, so one or both have to be connected to flying leads. 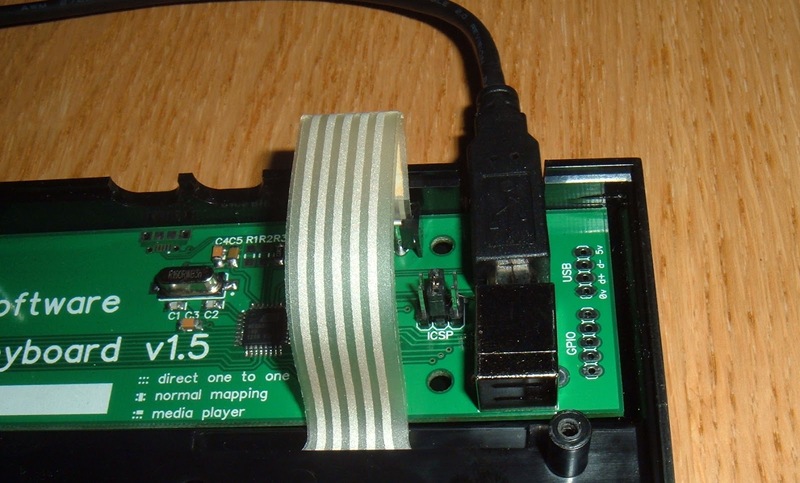 Do the limited space inside the Spectrum at that point, I also have to wire the USB lead to headers. All of which makes the job a lot more involved that most of the others. I've finally decided to just go ahead and make a really wide PCB. To give a sense of scale, here it is along side the latest versions of the ZX81 and Commodore versions. Even when assembled, the large board is mainly space in the middle, with the connectors at each end. 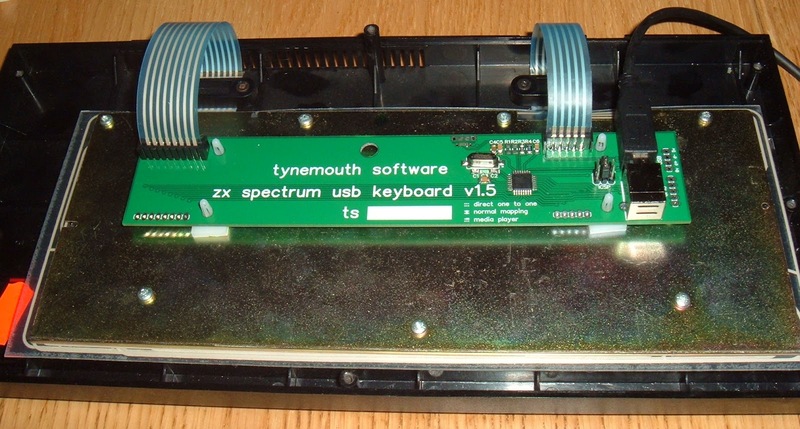 This slots neatly into the Spectrum case, and membrane tail connectors in the correct positions, and the USB connector sticking out where the 'TV' used to be. So that's a whole lot easier, no wiring to do, just the board to assemble. The left side of the unit is pretty much empty barring the membrane. 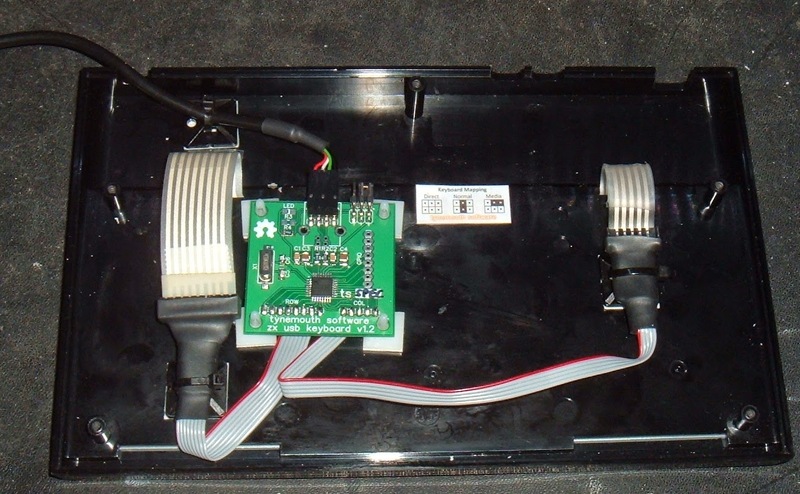 The right side is busier, with the controller, connectors and jumpers for changing the key mappings. 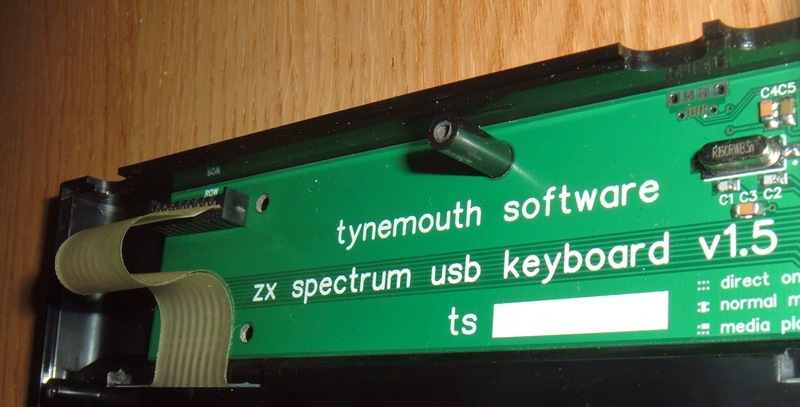 The new board can also be used for Spectrum + USB Keyboards. 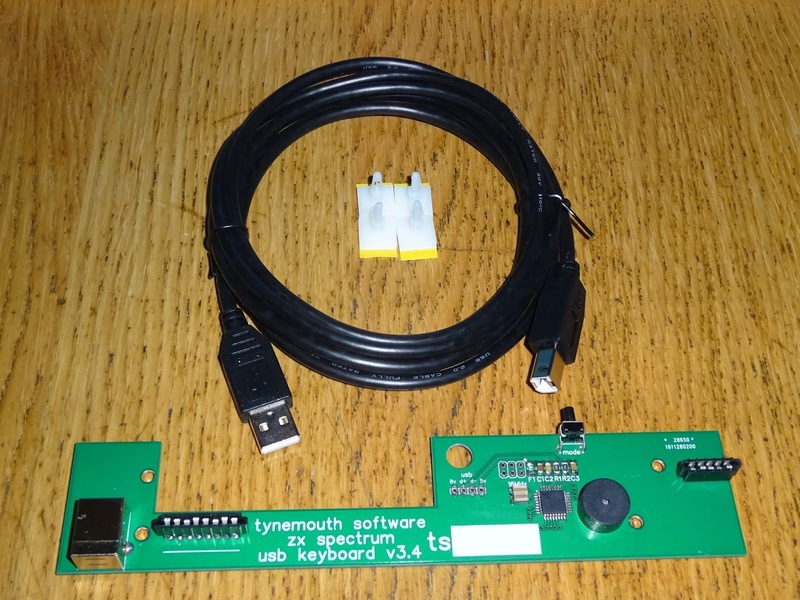 All that space free does offer some interesting possibilities, a Raspberry Pi Compute module perhaps? 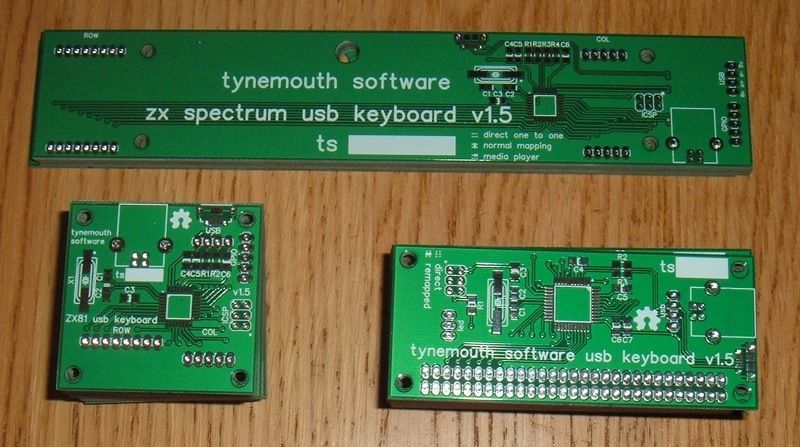 But that's for the future, for the moment, that's two more USB keyboards built up and off to the Post Office. 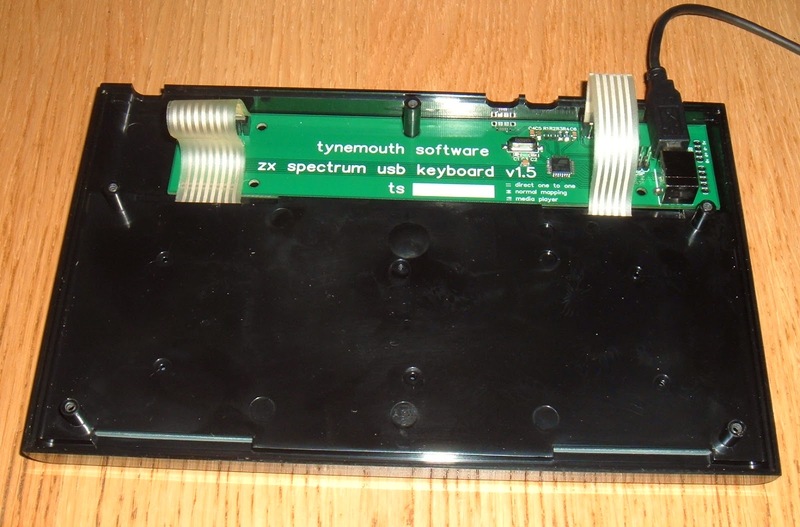 I now sell a ZX Spectrum USB keyboard keyboard conversion kit in my Tindie store.